Tampines North MRT Station (CR6) is an underground station along the Cross Island Line (CRL) Phase 1. The station is located underneath Tampines Avenue 11, at the junction with Tampines Avenue 6 and Tampines North Drive 2, which are future roads which will serve the upcoming Tampines North residential town. 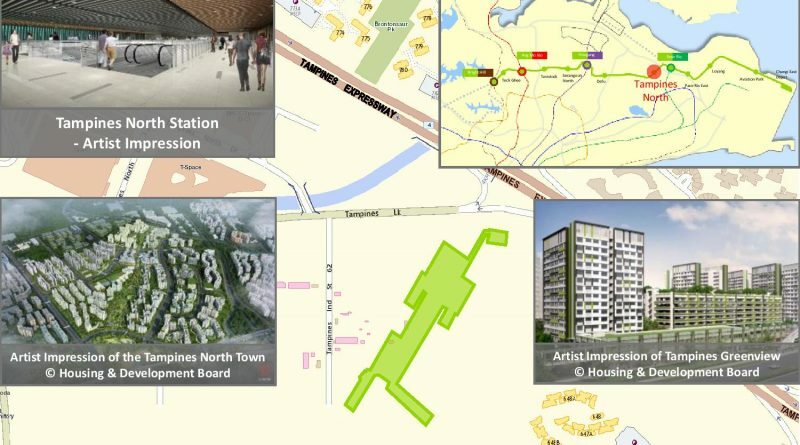 At present, the station is at the north edge of Tampines town and in the vicinity of industries near Tampines Industrial Street 62 which will be expunged in the future to make way for residential developments. 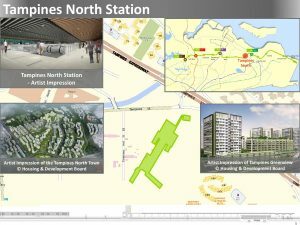 When fully developed, Tampines North Station will be a transport node for the Tampines North estate and form an integrated Transport Hub (ITH) with the adjacent Tampines North Bus Interchange. The station is targeted for completion and opening in Year 2029.